The US wants to return to the issue of the Crimea, but the priority is resolving the situation in the Donbas, US Secretary of State Rex Tillerson stated speaking at the Forum of the Atlantic Council in Washington. “We will return to the Crimean issue. I know that President Putin has made it clear that this will not be discussed at the negotiating table. At some point it will, but now we must stop the violence in the east of Ukraine. Let's see if we can solve this," Tillerson informed. He also pointed out that the sanctions regime in relation to Russia will continue to operate until the restoration of Ukraine's territorial integrity. “This regime will not change until the Russian invasion of Ukraine is over and the Ukrainian territorial integrity is restored," Tillerson stated. According to Tillerson, "the invasion of other countries and the seizure of their territories cannot be ignored”. 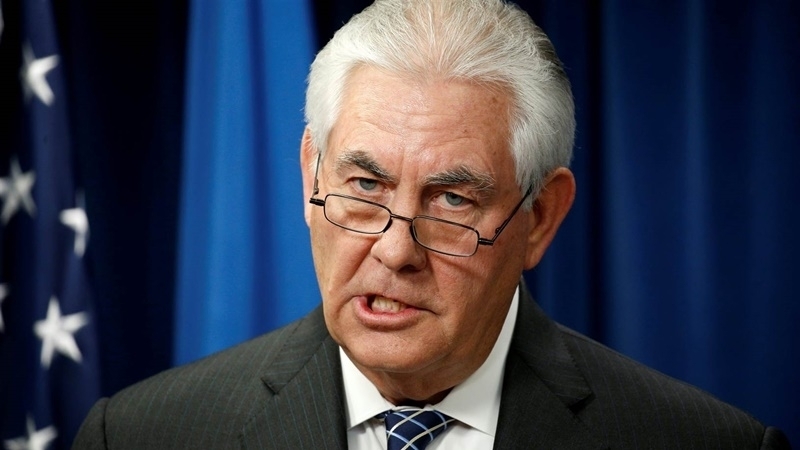 Earlier, Rex Tillerson, US Secretary of State, speaking at the 24th meeting of the OSCE Ministerial Council in Vienna, assured that US sanctions against Russia would remain in effect while the Crimea remains an annexed territory and Russian troops are in the Donbas.